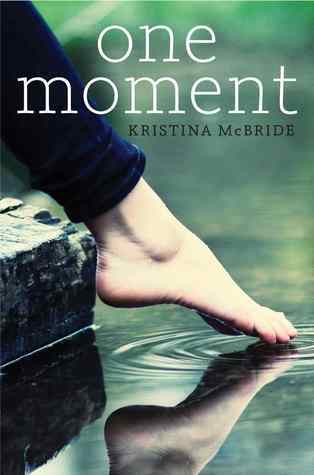 This week I've chosen One Moment by Kristina McBride. This is released on the 26th June 2012! This was supposed to be the best summer of Maggie’s life. Now it's the one she'd do anything to forget. Maggie Reynolds remembers hanging out at the gorge with her closest friends after a blowout party the night before. She remembers climbing the trail hand in hand with her perfect boyfriend, Joey. She remembers that last kiss, soft, lingering, and meant to reassure her. So why can’t she remember what happened in the moment before they were supposed to dive? Why was she left cowering at the top of the cliff, while Joey floated in the water below – dead? As Maggie’s memories return in snatches, nothing seems to make sense. Why was Joey acting so strangely at the party? Where did he go after taking her home? And if Joey was keeping these secrets, what else was he hiding? Pre-order One Moment at Book Depository!